An updated home theater is not complete without a media streaming box and the obvious best choice for an Apple TV is Airplay, which allows you to stream anything wirelessly from your Apple iOS device (iPad, iPhone, etc.) to your HDTV and speakers via Apple TV. You can also show anything that is on your iOs screen on the screen of your TV including movies, video games, photos, websites, spreadsheets, class materials and more. Although having more components creates a more sophisticated system, you also end up with a pile of remote controls. Instead, Rangel Electric will program a universal remote to operate all of your audio visual from a single remote control, including various brands and types of electronics. Imagine the simplicity, just one remote to control your TV, satellite system, DVD player, music, and more. These remotes can be very simple or can be highly customizable. The professionals at Rangel Electric are also experts at lighting design and can create the right atmosphere for your home theater with ambient lighting. Recessed lighting provides the cleanest design and is particularly conducive to dimmers to create the perfect amount of lighting for viewing and also the right brightness for conversation and entertaining in the same area. Start planning your new home theater now. Call Rangel Electric to schedule a free consultation in your home and receive a free Apple TV including set up and programming with the purchase of $2,500 in audio visual equipment or services*. Whatever the scope of your project, Rangel Electric will manage the job from designing your space, recommending audio visual components and creating a comprehensive and integrated system to complete installation. 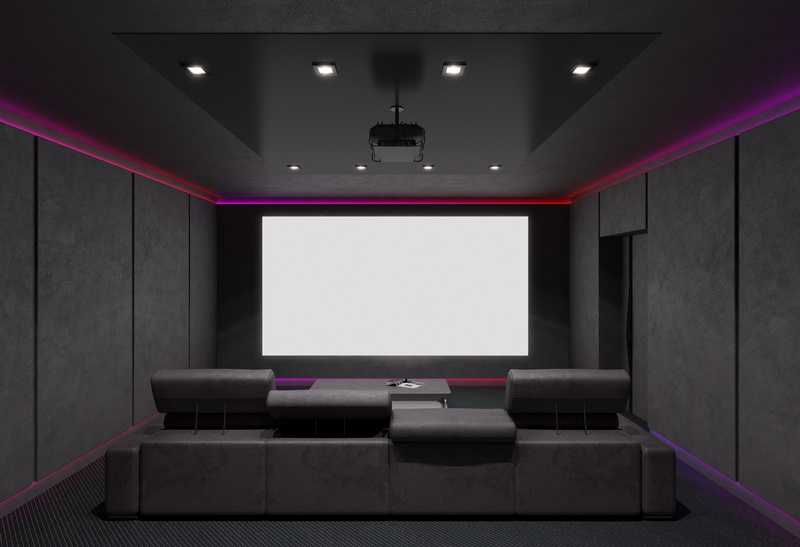 More than just an electrical contractor, Palm Desert Rangel Electric are experts in home theater, lighting design and more and will work with you to create your dream home theater. *Offer valid through August 2016. Some restrictions may apply. Please speak with Rangel Electric for full terms and conditions.